You know when you THINK you’re out of something, so you buy it and put it in your freezer for future use, only to buy again because you forgot you bought it already? Welcome to my world with cranberries. Yesssssssss, I am the proud owner of 4 bags of fresh (frozen) cranberries because I completely forgot that I had other bags in the freezer. 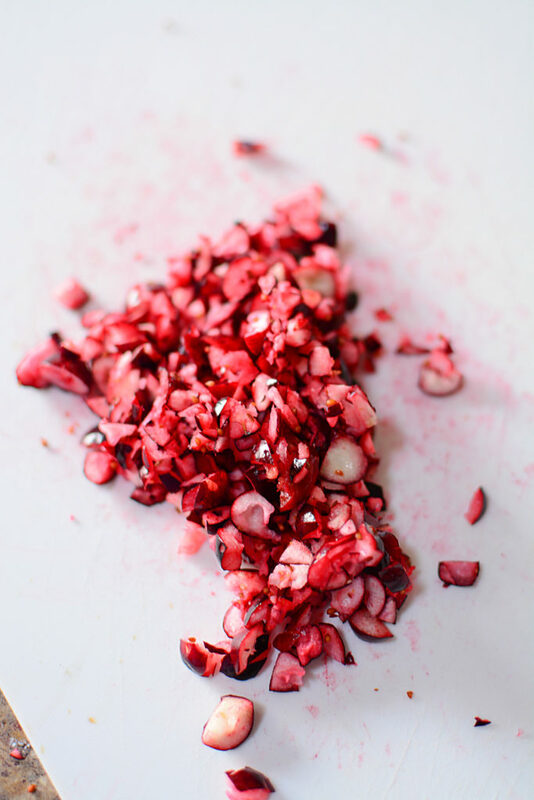 So what do you make when you have tons of frozen cranberries and a rogue, super ripe pear in your fridge? Tarts, my friend. Tarts. 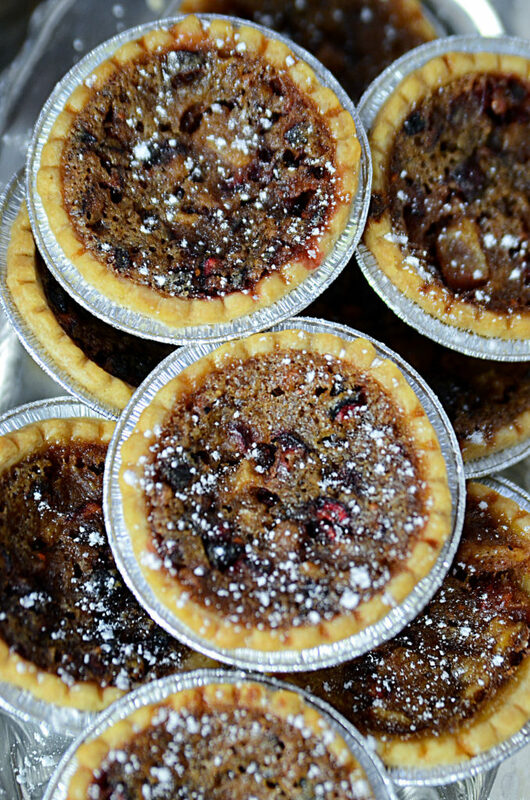 Tarts are always the willing recipients of the “crap in the fridge”. Got an egg, cheese and a bit of turkey left over? Tarts. Have a bit of bacon and some sketchy tomatoes? Tarts. 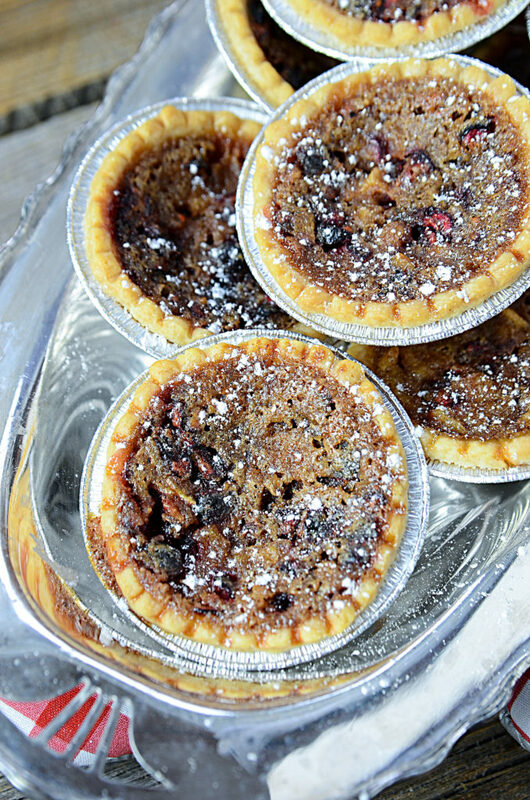 A lot of the time, the tarts you come up with are good, everyone in the house thinks they’re great…. and that’s fantastic. 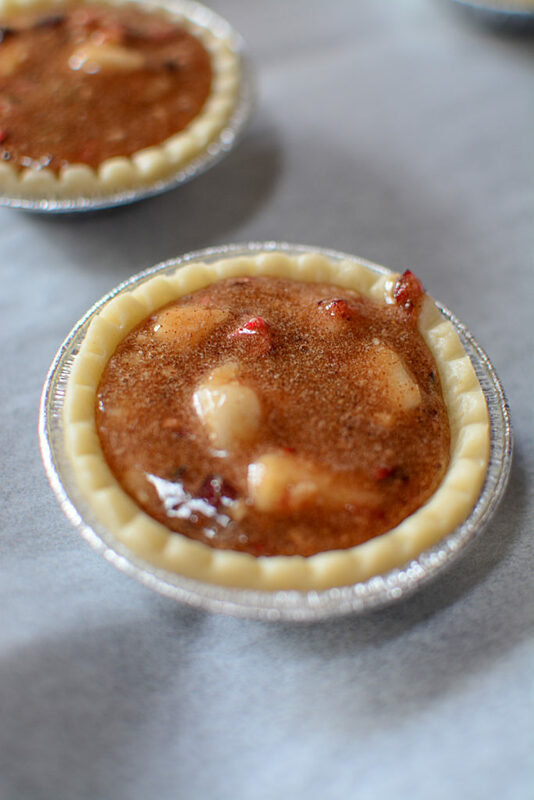 BUT THESE CRANBERRY PEAR MAPLE BUTTER TARTS??????? They blew my mind. Seriously, they were amazing. As you know by now, I’m kinda frugal. Well.. frugal AND I don’t like to see anything go to waste. My grandmother was a very money conscious Ukrainian woman. She was one of those kind of grandma’s who if there was a super soft spot on a tomato, she’d cut around it and use the rest. She’d cut the mold off cheese and keep going. Ketchup and an onion left in the fridge? She’d whip up with something amazing. She was a rebel in the kitchen! She would can raw chicken and fish WITHOUT A PRESSURE CANNER, people! NOTHING would go to waste in her house. She used to make my brother and I spaghetti soup when we were kids. Warm milk with a bit of sugar, and cooked, leftover spaghetti. She’d make it for us just before bed as a bedtime snack. Warm milk, a bit of sweetness and loads of carbs? It knocked us out COLD for the whole night. Let me tell you, she knew what she was doing. She taught me what it means to be frugal and not waste anything. So this brings me back to the pear. It was ripe and needed to be used. One of those pears that are sooo ugly on the outside, but as you peel them, the juice is running down your arm. Perfect for SOMETHING yummy! I thought, pear and cranberry? Ok, why not. Let’s give it a whirl. 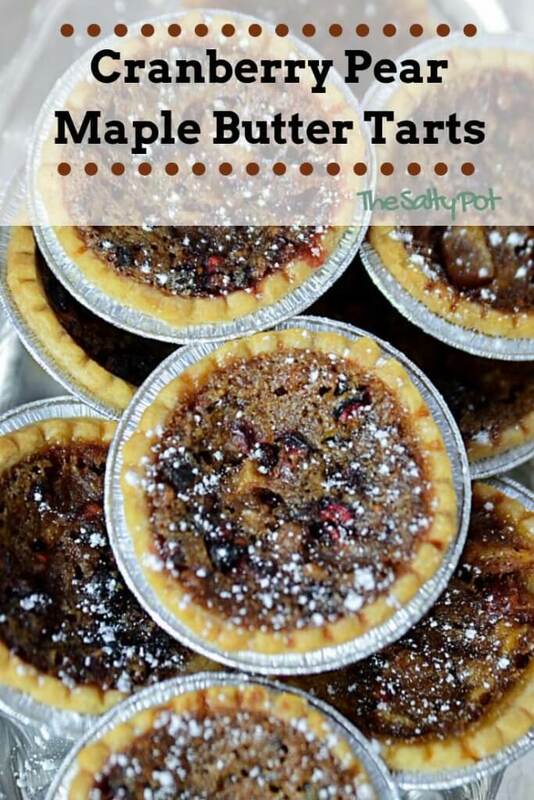 So how do you make these Cranberry Maple Butter Tarts? The instructions are pretty easy. Arrange the tart shells on a baking sheet to thaw slightly while you make your filling. 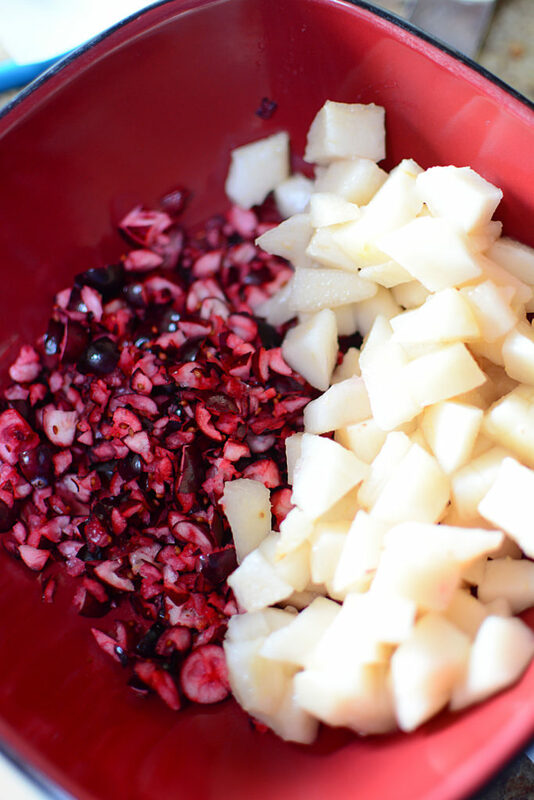 Dice the cranberries up finely, and peel, core and dice up the pear. 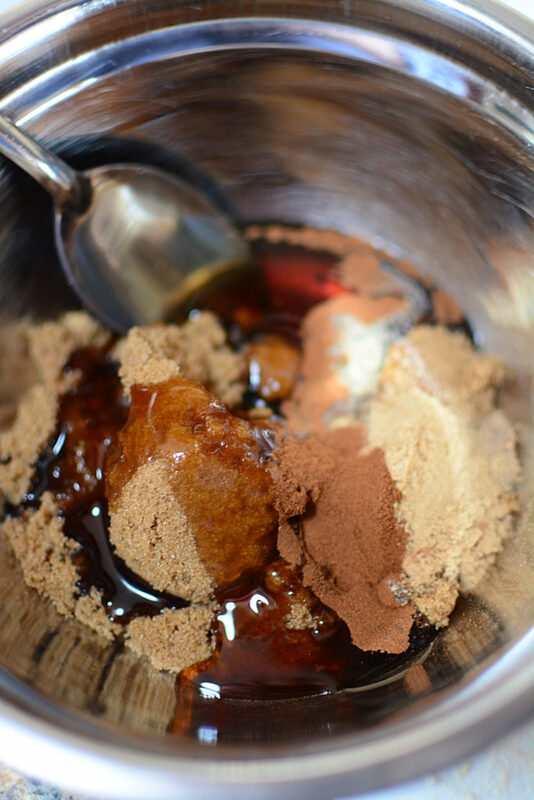 Mix up the sugar and other ingredients in another bowl, then add the fruit to the mix, give it a stir and fill the tart shells! Bake and you’re done!! SO easy! If you’re looking for another easy dessert to put together, take a look at my Apple Pecan Croissants with Butterscotch Sauce HERE… and my Blueberry Strudel Pie HERE – both super easy recipes! Evenly distribute the filling between the tart shells. Bake for 20 – 25 minutes or until the tart crust is golden brown.